Durgeth Swamp is the home of many terrors. Wild savages lurk in the marsh, raiding unsuspecting travelers. But even the Durgeth Ravagers tell whispered stories of a greater evil that has joined them in Valkrill's service. The swampy pools are littered with bodies of brave warriors, terrified lifeless by the Banshees' screams. 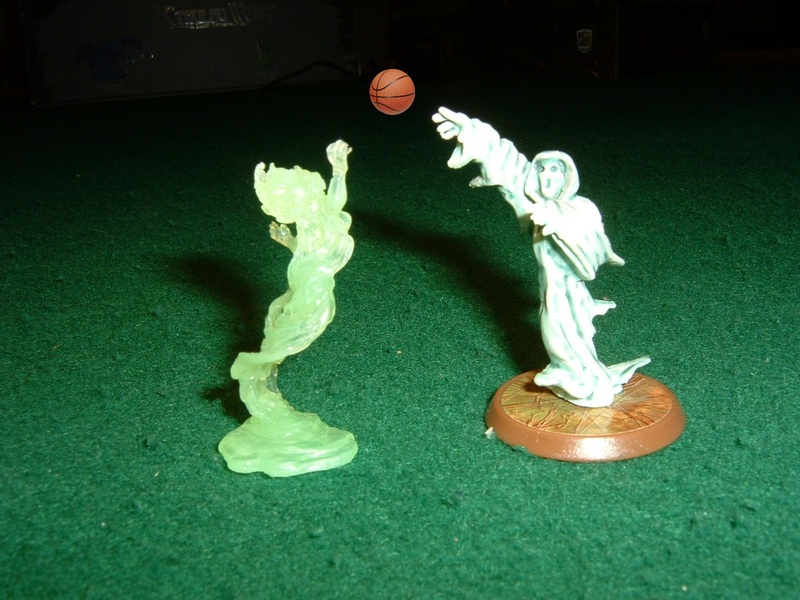 The figures used for this unit are Reaper figures from the Bones set. Their model names are Labella DeMornay and Spirit. Valhalla's heroes stumble into a haunted marsh. basing the Banshees of Durgeth Swamp on a normal single base. Vydar has summoned pirates from Earth to join the fray. This roguish crew terrorized the open waters of the Caribbean, and now they have brought their services to Valhalla. These buccaneers are hard to tie down, and will use any means necessary to catch their targets off-guard. 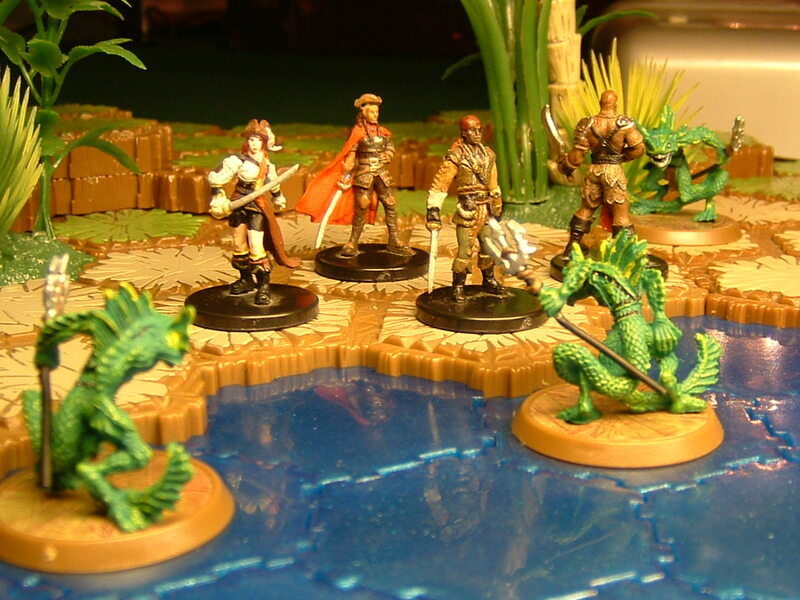 The figures used for this unit are Pathfinder figures from the Skulls and Shackles set. The minis are 13/Pirate Sailor, 14/Pirate Smuggler, 24/Tessa Fairwind, and 17/Barnabus Harrigan. The Buccaneers brace themselves against an amphibious onslaught. 2019 is looking to be a good year for the C3V. Lots of exciting things are coming down our pipeline and to a game table near you. There will be something for everybody. Keep giving us feedback as to how we can serve you all as fans better. And as always, please help us with playtesting if you have time. Fantastic stuff, everyone! I haven't delved into C3V units just yet but I am hoping too at some point soon. You continue to put our amazing customs to enhance Classic 'Scape. It's always a pleasure to see more units released! Thanks to the designers and playtesters that made these guys possible! I had the pleasure of playtesting the Banshees against an Elemental army. Fun times! Two nice common squads ! Thanks. 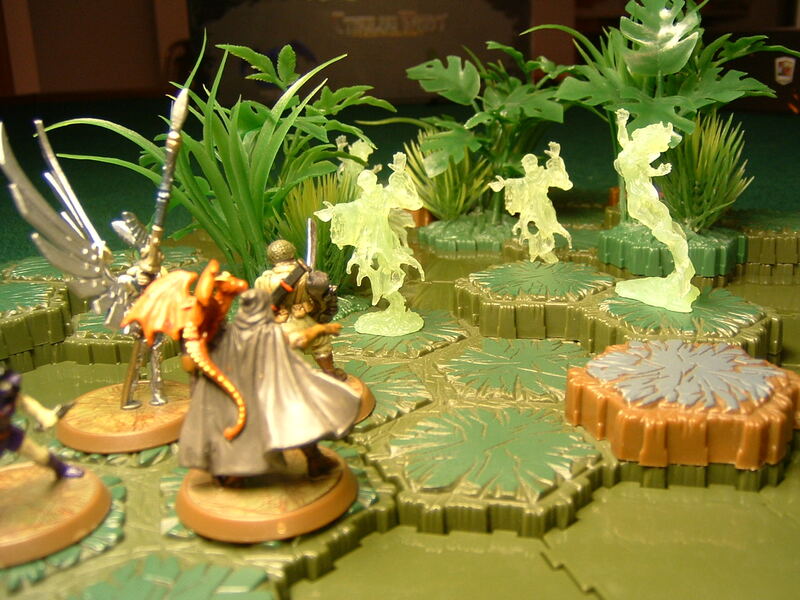 I really appreciate all the work you do in keeping Heroscape fresh and exciting for us. And I can't wait to build some armies with these guys and try them out. Looking good! Thanks for all your work behind the scenes! Many thanks to the hobby veterans who have already posted here with their kind words. You guys - all of you who have already posted, whether you think of yourselves as "veterans" or not - are part of the reason why we do it. If it's good enough for you graybeards, that means we're doing a good job. Thanks! Great work to all involved. Thanks! I'm curious as to why the Pirates were chosen as units of Vydar? Great work though, as always. I don't remember that conversation in particular, but I think of Vydar as the mercenary general. And what is a pirate, if not mercenary? Loving the dueling banjo entries by C3V and C3G! Nice to see this community still going so strong. I feel eternally blessed to be a part of it. both Army Cards are powerful and spicy and would see much play. I am not fan of Buccaneers art tho, instead of doing quadrants, I would have layered them in a cluster.